Biography | M. Gray Styers Jr. Wherever business strategy intersects with government regulation and public policy issues, Gray assists clients in navigating the political and legal environments to achieve their objectives. He currently serves as Co-Chair of both Fox Rothschild’s Infrastructure & Development Practice Group and its Energy and Natural Resources Practice Group. Gray practices in the areas of regulatory and administrative law, energy/utilities law, zoning/land use, government relations and large infrastructure matters. He represents numerous energy, telecommunications and project development clients before state government agencies, permitting officials and local zoning boards as well as in appeals to both state and federal courts. 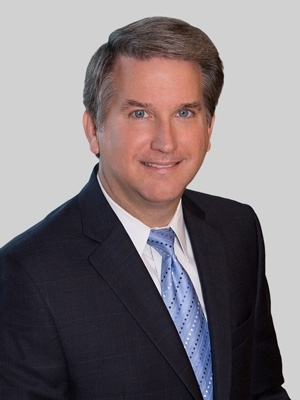 He has served as regulatory counsel for renewable energy facilities, two natural gas distribution companies as well as municipal natural gas systems, advises independent power producers and major wireless telecommunications service providers and handles zoning and permitting for large commercial and residential developments and infrastructure projects. Gray is a "Utilities Law Specialist" as recognized by, and meeting the criteria of, the North Carolina State Bar Board of Legal Specialization. A mediator certified by the North Carolina Dispute Resolution Commission, Gray is often asked by other attorneys across the state to help mediate disputes in his areas of experience. Gray was a partner and Infrastructure and Development Practice Area Leader at Smith Moore Leatherwood LLP, which merged with Fox Rothschild in 2018. Gray began his legal career as a judicial clerk for Chief Judge Sam J. Ervin III on the U.S. Court of Appeals for the Fourth Circuit. Gray is active in his community and the profession. He has chaired the Wake County Industrial and Pollution Control Facilities Financing Authority since 2000, served as a member of the Board of Visitors of Wake Forest University's School of Divinity since 2012 and is Vice Chair of the North Carolina Museum of History Associates. He has served on the Government Affairs Board for the Greater Raleigh Chamber of Commerce and is also active in the Kiwanis Club of Raleigh, the North Carolina Supreme Court Historical Society and the Regional Transportation Alliance. He is a member of Raleigh Moravian Church and has served in various roles with the Moravian Church of America, Southern Province. In 2014, he was elected to serve as President of the Wake County Bar Association (2,200+ members) and the Tenth Judicial District Bar (5,000+ members).